Has worked with Franck Goddio since 1992. Jean-Claude is the project's Chief Diver. He started snorkelling when he was 6 years old and has been a SCUBA diver since 1978. 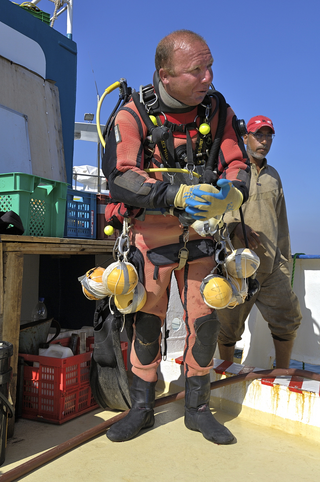 He became a professional diver in 1985 and has worked as a dive instructor, hyperbaric chamber operator, diesel mechanic, marine carpenter, builder of wooden boats and a heavy machinery operator.